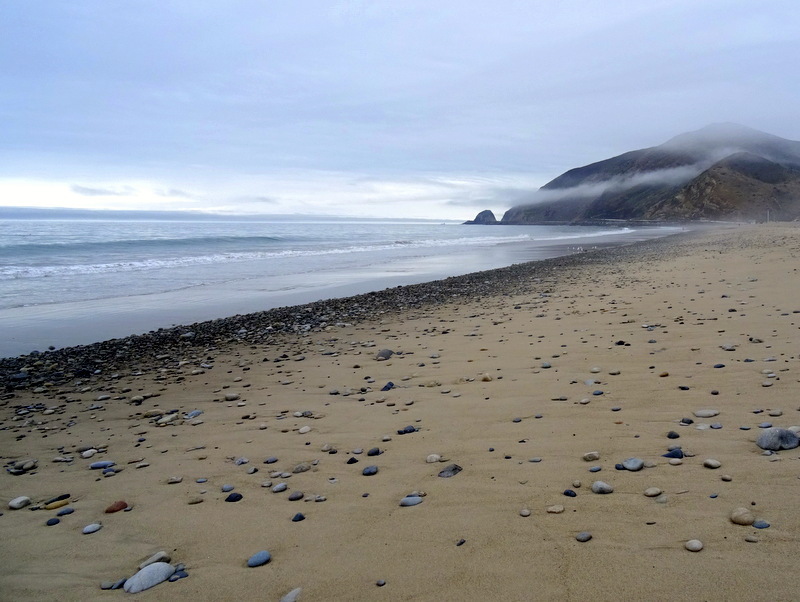 Over the past week and a half, we stayed at two more California state beach campgrounds, took many more beach walks, and put up with more rain. Since we got to the coast the weather seems to be stuck in a cool, rainy pattern. While I hate to complain because I know California really needs precipitation, the rain does put a damper on our daily outside activities. Fortunately, the rain hardly ever lasts the entire day and rarely occurs more than one day in a row, so despite the persistent chill in the air and annoying dampness inside the Airstream (oh yeah…that’s why I like the desert so much) we were able to get out and explore our surroundings most days. 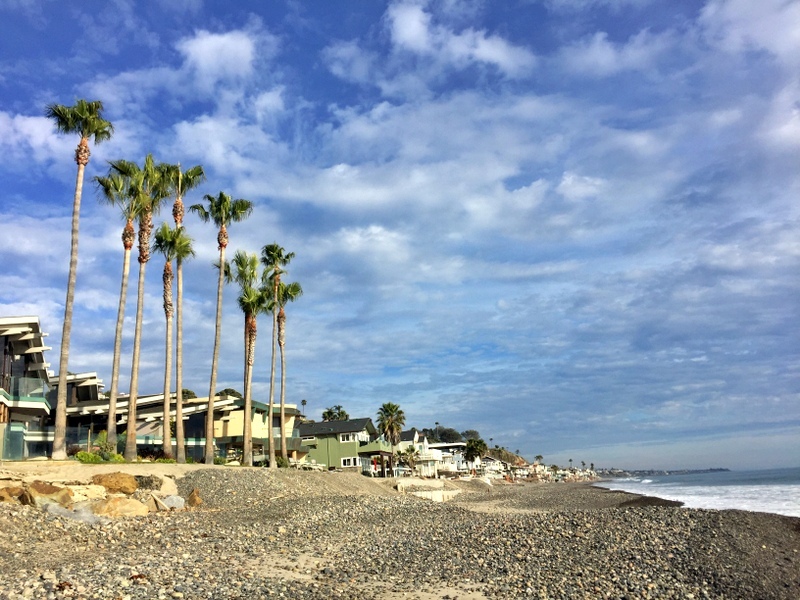 After our short stay at San Clemente, we moved just a few miles up the road to Doheny State Beach. There we spent almost a whole week in an almost waterfront site. If we had been willing to move every few days we could have enjoyed a series of true real waterfront sites, but that’s never any fun so we settled for an interior spot on the corner instead. With no neighbors on the beachside, this was actually a pretty nice site featuring an ocean view and large backyard. With neighbors, the beach view disappeared completely. Somehow we got lucky and only had a neighbor for three out of the six nights. 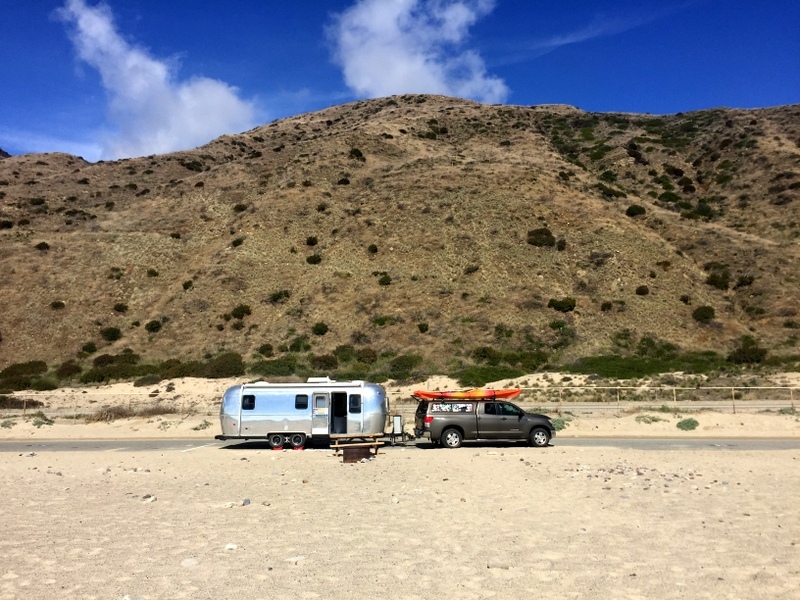 And the first of those nights the neighbor was a nice couple in a tiny teardrop camper that took up so little space in the site that we could still see the beach and ocean around it. On the other side we only had a neighbor for a single night. 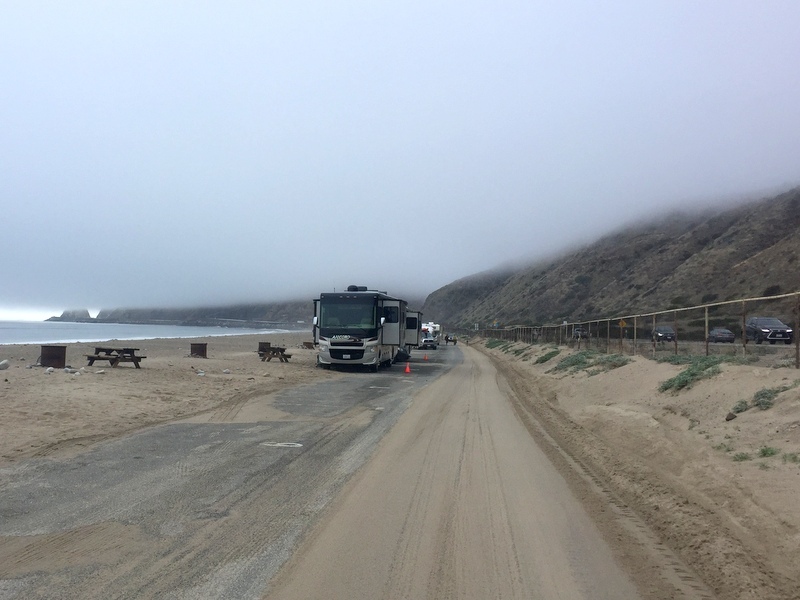 So while a true oceanside site would have been nice, site 95 in the corner with an almost ocean view was not a bad place to spend the week. 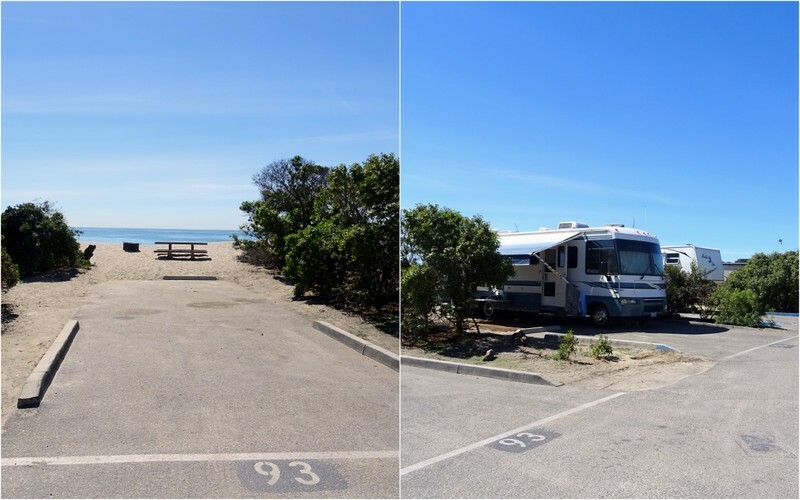 The oceanfront sites might be close together but they open up to the beach in the back giving you a giant sandy backyard! 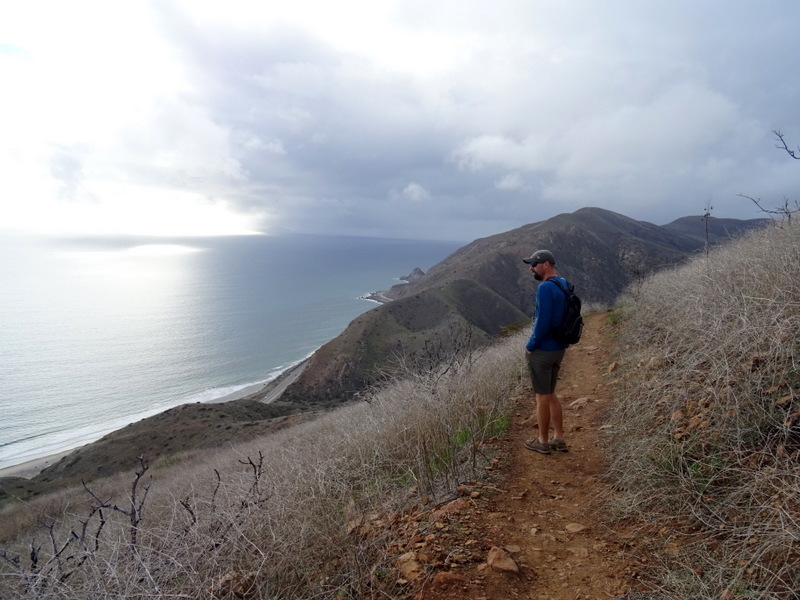 A day or two of rain combined with extra work duties for Tim on Friday and Saturday afternoon meant we had another less-than-adventurous week with all our activities taking place at or near the campground. Someone asked me the other day if the southern California traffic was getting to me. I had to think about it for a bit because even though we have spent the past month in a crowded, massively populated area, the truth is that it hasn’t felt that way. 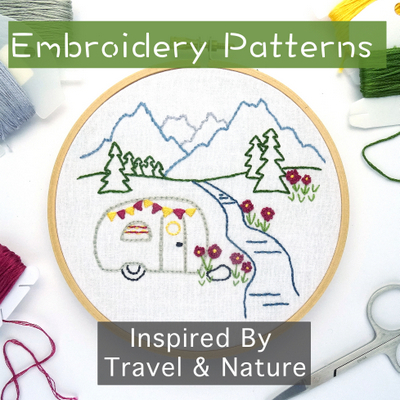 With the exception of some necessary errands, we have barely driven anywhere and instead spent our time at home and exploring on foot or by bike. 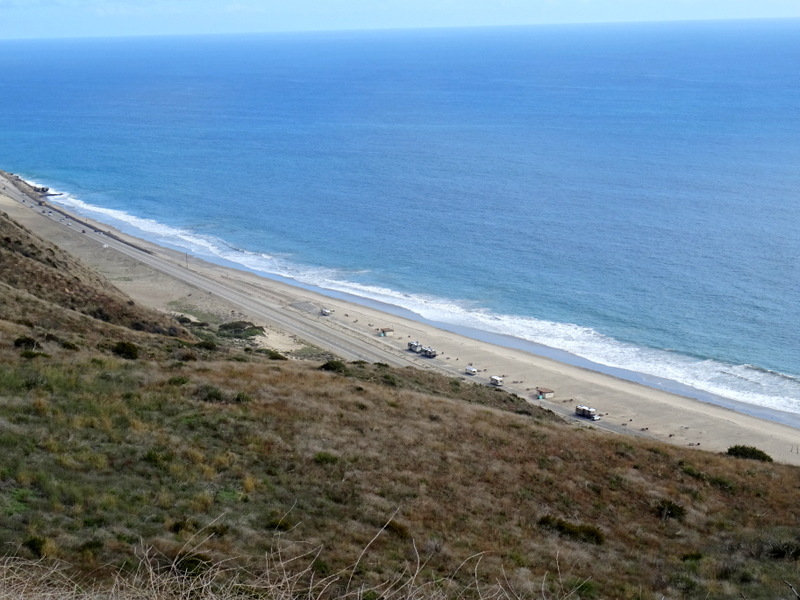 Speaking of traffic, unlike many of the CA state beaches, you won’t hear any at Doheny, but you will hear the train. The tracks run alongside the campground and a train passes by every hour or so. I feared the worst, but it wasn’t so bad. With the exception of a solitary freight train that went through around 10 every night, they were all passenger trains which tend to be shorter and quieter. There was also little to no horn blowing. By the second day I barely even noticed them go past. One day we walked south to the residential area of the beach. There were some nice homes but the beach here was pretty crappy with giant piles of round stones that made walking difficult. 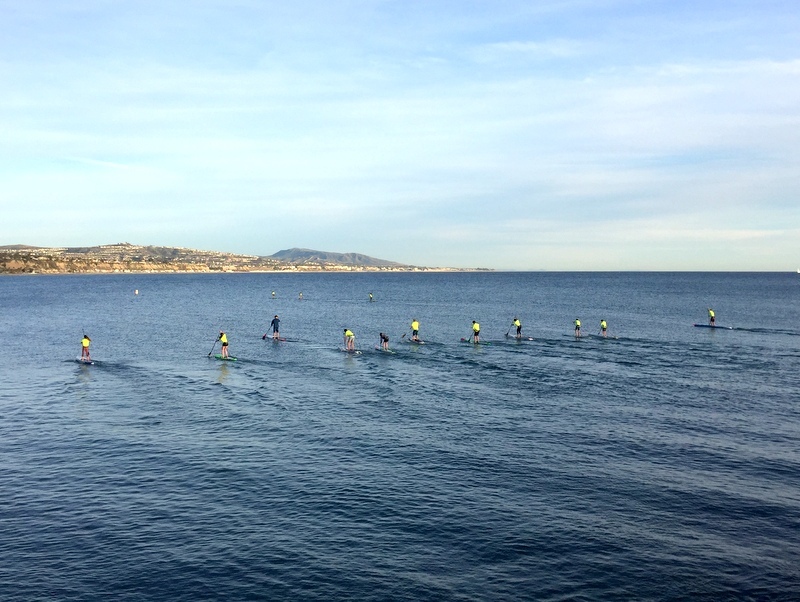 This looked like a SUP exercise class? 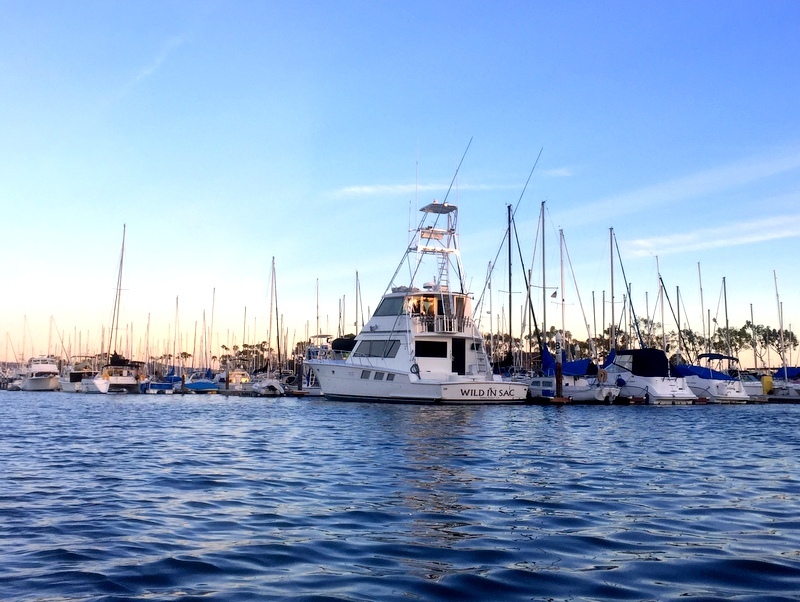 In the beginning of the week, we had a short window of calm seas and sunny skies. 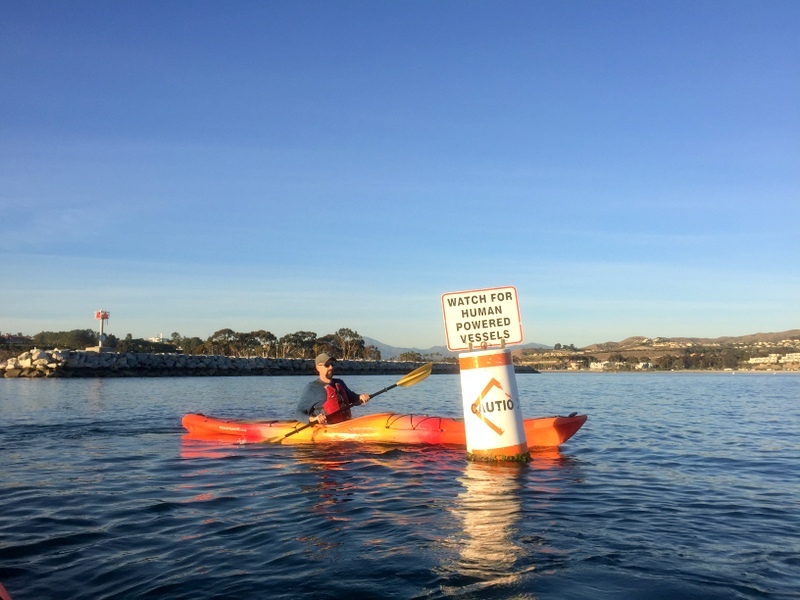 You know what that means…kayaking! 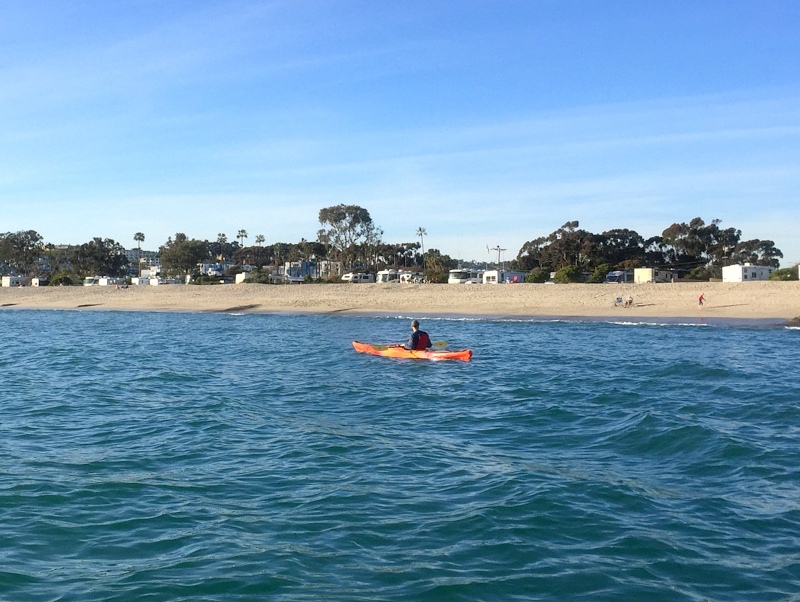 This was the first time since coming to the coast that the conditions were favorable and we didn’t let it go to waste. 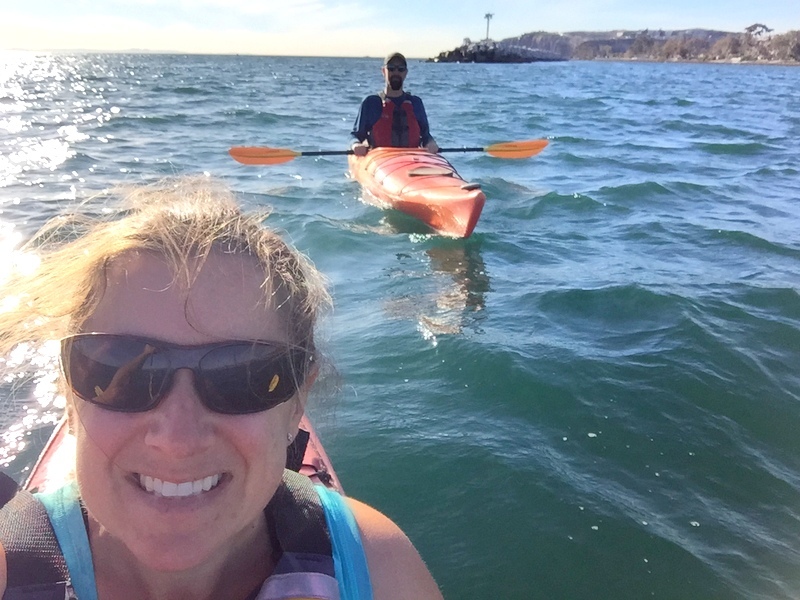 After contemplating and ultimately rejecting a beach launch (the beach here is steep with persistent waves and we most certainly would have gotten wet) we drove over to the Dana Point Marina and put the boats in there. 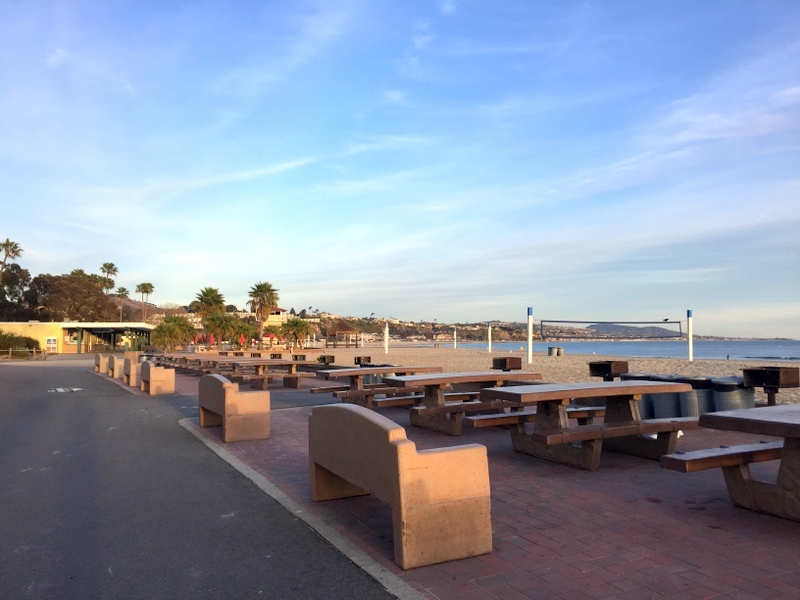 It doesn’t get much more beachfront than this! 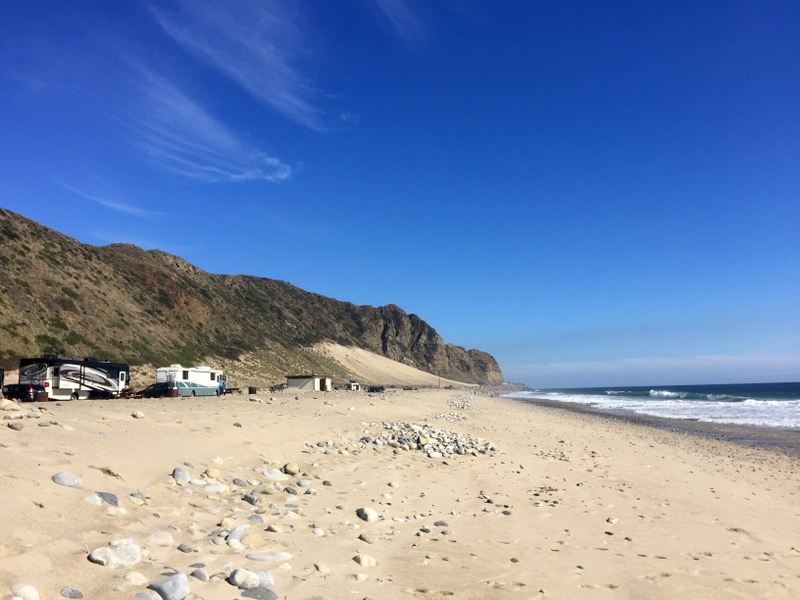 Thornhill Broome is one of the two campgrounds located within Point Mugu State Park. 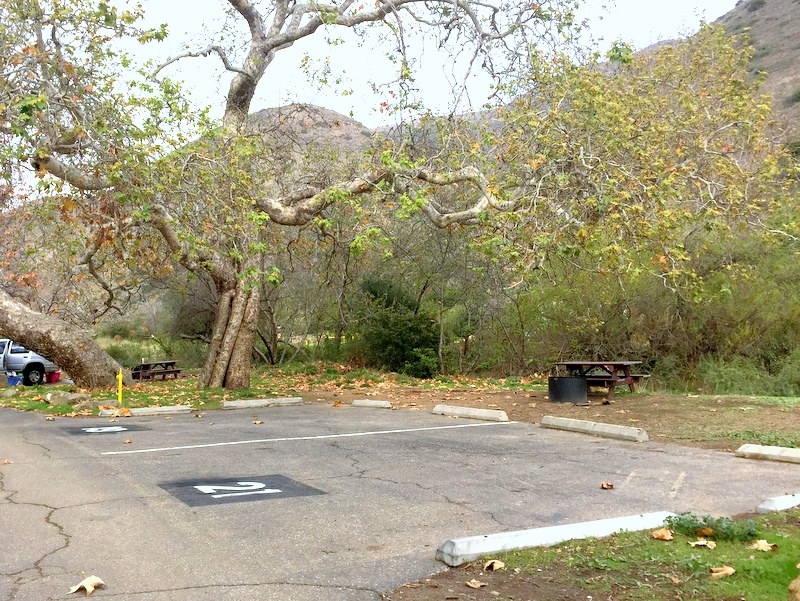 The other campground, Sycamore Canyon, is about half a mile south and across the street in a grove of trees. We walked over one day and while it was not terrible, it also wasn’t great. 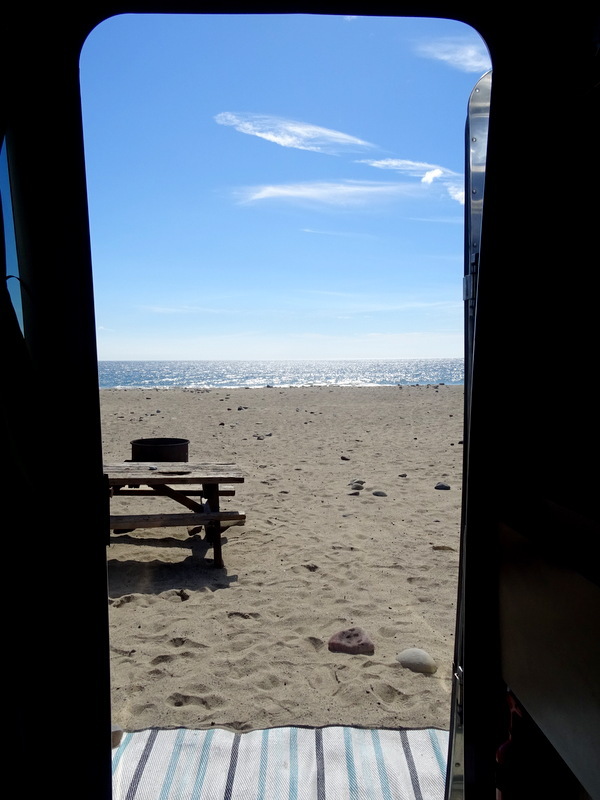 I don’t know about you, but if I’m going to pay $35/night for a campground with no hook-ups and no privacy I will choose the one with the beach right outside my door any day! 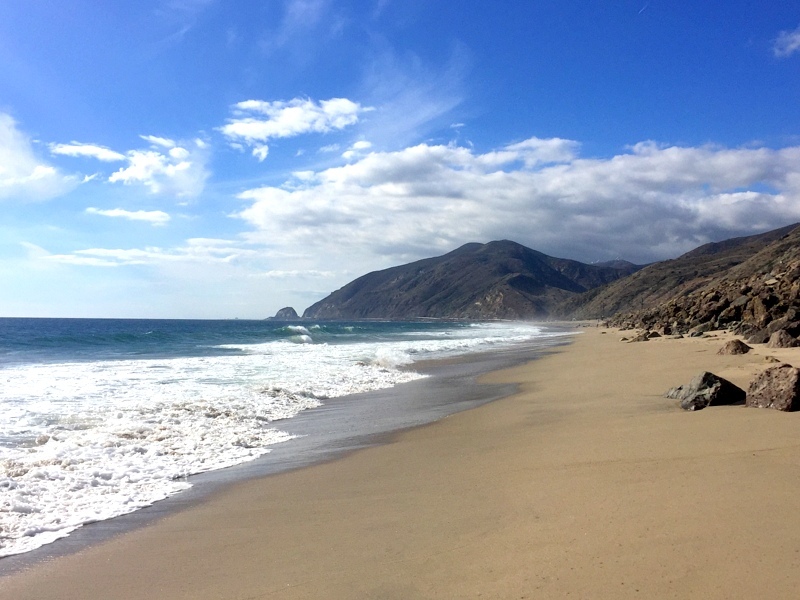 Sure, Thornhill is nothing more than a narrow strip of pavement sandwiched between the Pacific Ocean and the Pacific Coast Highway, but if you want beach access it doesn’t get much better. No train tracks here but the traffic noise can be a little intense. It was the most noticeable first thing in the morning while a steady stream of commuters zipped past. As soon as it was warm enough to open the door though, the sound of the ocean came rushing in and all the car noise disappeared. For some reason, it was not very busy during our four-day stay which meant we didn’t have any close neighbors and the beach was practically empty most days. 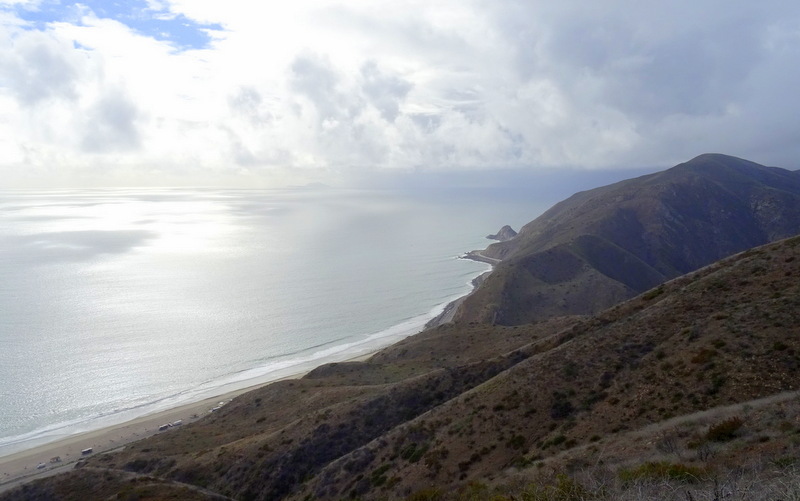 It also rained again and we had another close to home kind of stay filled with beach walks and one longer hike up into the hills across the highway. Can you see us down there? 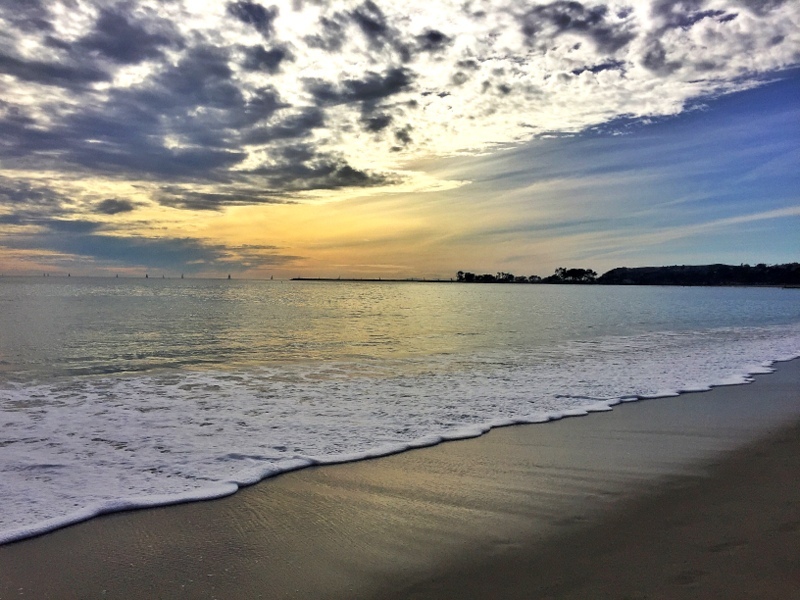 One of the reasons we choose Thornhill was it’s close proximity to the town of Ventura. 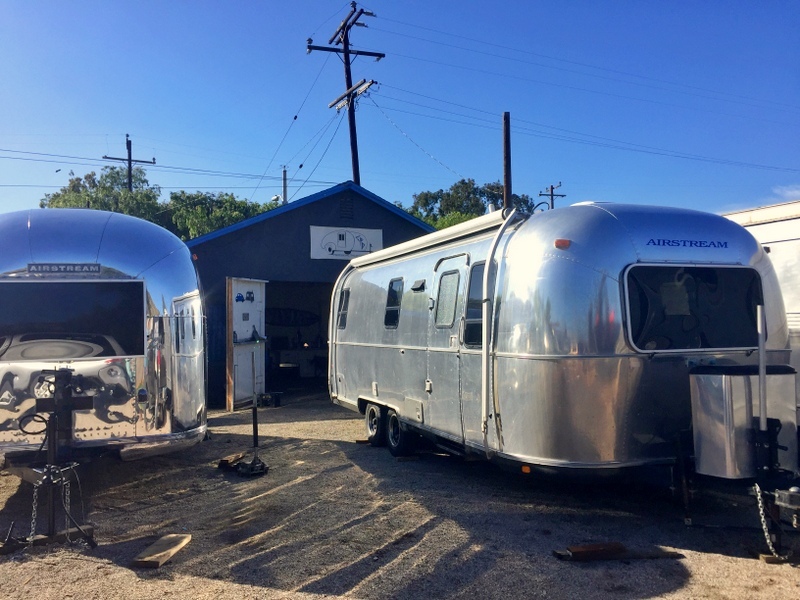 The reason we wanted to be close was because for the first time ever we’re having some professional work done on the Airstream! 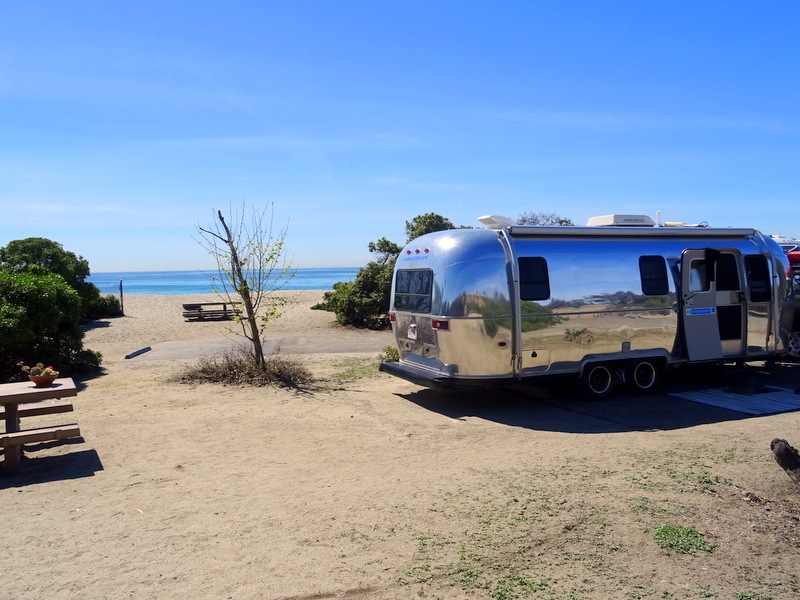 At the end of the week, we said goodbye to the beach and drove the short distance to CF Detailing in Ventura where we dropped off our home for a little time at the Airstream “spa” to receive a professional re-polish. Can’t wait to see how it turns out. In the meantime, we’re hanging out in an AirBnB, taking a boat trip out the Channel Islands for some tenting, and working on planning the rest of our spring and summer travels. All ready to get some shine on! 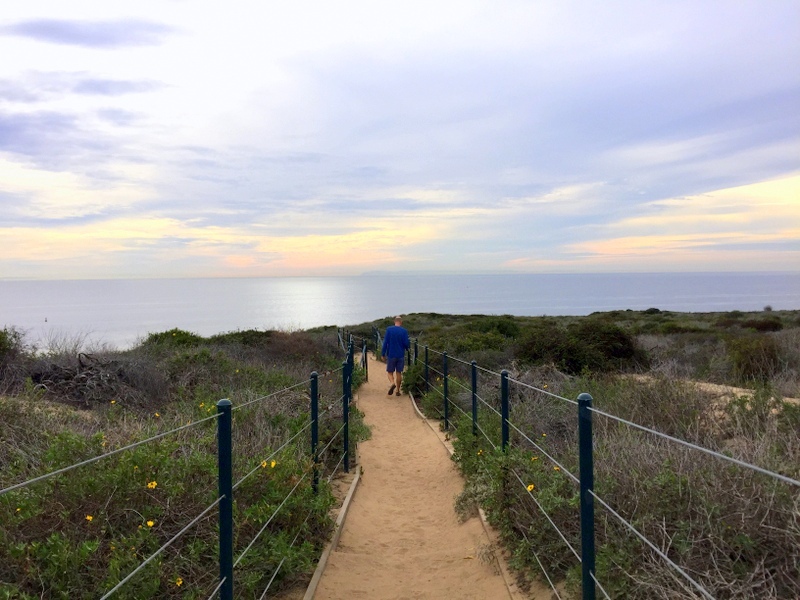 Should you continue on up the California Coast consider visiting Ano Nuevo State Park, north of Santa Cruz. 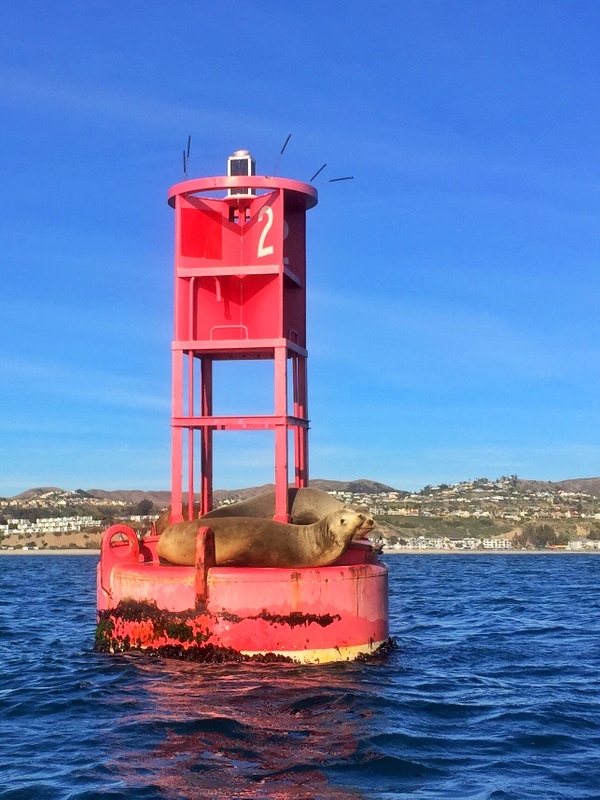 Sea Lions galore as well as Sea Elephants. About a two mile self guided tour. My old (young) stamping grounds as a Coast Guardsman. That sounds fantastic! I don’t think we’ll make it that far before we go inland but I’m putting it on the list for the next time around.